Thanks to Clean Eating & Focused Training for another great recipe and post! So remember all those blueberries we picked the other day? (We quickly learned that 5.5lbs of blueberries is a lot for 2 people to eat!) I came up with another recipe to use them up! If you haven’t tried my Lemon Poppyseed Blueberry muffins, I recommend giving them a try. They were absolutely delicious and didn’t last very long around the house.. 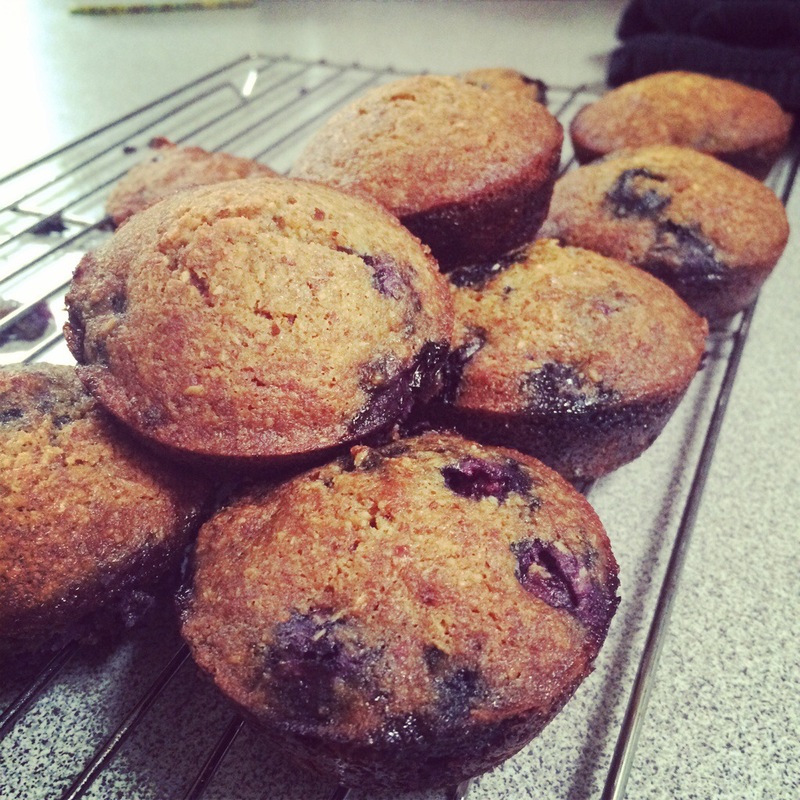 I loved those muffins so much that I decided to try and make some more Blueberry Muffins. I know that a lot of our followers are Paleo and Gluten free.. so this recipe is perfect for them, (and for anyone else)! Mix all ingredients well, and pour into *greased* or lined muffin tin. (Greased is starred because I didn’t get the muffin tins very well and some of mine stuck). Bake at 375 for 20 minutes or until muffins are light brown.